North Berwick is a coastal town 25 miles east of Edinburgh. Follow in the footsteps of Robert Louis Stevenson who spent long holidays here as a boy. He used his childhood memories of the area in his future writing, including his first ‘published’ work of fiction ‘The Wreckers’, written at age 12. See displays and fascinating stories about all of this, and about the long connection with the famous Stevenson family of lighthouse engineers, in the Coastal Communities Museum. 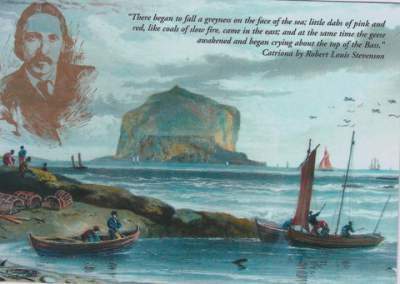 Follow trails in RLS footsteps in and around North Berwick, using leaflets available in the Museum.